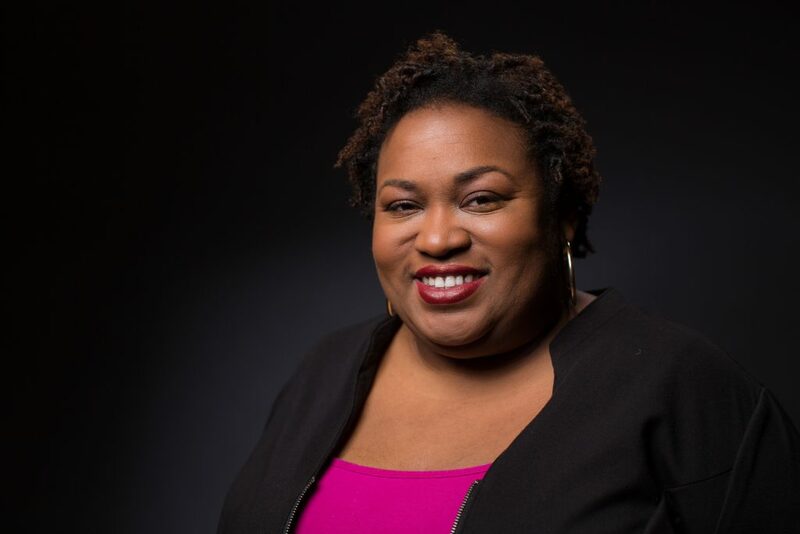 Brittney Cooper, author of the smash hit Eloquent Rage: a Black Feminist Discovers Her Superpower, wanted to be a professor and she got it. This is the basis of her complaint on NBC. Somebody told her, years ago, that the only person she could control was herself, and beyond this that if she didn't smoke crack, or get knocked up, or shoot her neighbors, or steal sneakers, or blow her money on gold chains and spinning rims, and made good choices in general, she would "make it." And she did make the right choices -- to become a professor. Now she has tenure and can say stupid things and nobody can fire her. What she deeply regrets is not having children. Who's to blame for all this? Her wild success implies that it's her. Who does she blame? White neoliberals and their "perverse form of a social gospel." Where is the man she needs in this? No mention is made of what he needs from a woman, and that she either doesn't have it, or has purposely avoided being it. She says black women die more in childbirth anyway; but no mention is made that all women, on approaching 40, are more likely to die from complications, or have sick children. No mention is made that by the time you hit 30, most of the best men have picked most of the best women, and the pool of marriageable partners has become more like a swamp. She poured all her time and resources into not finding a good man, joined arms with the bra-burners, stuffed her face with twinkies, and then found out that getting a man takes time, and work, and art. I advise her to get some cats. It's going to be a long haul, and she's going to need some company*. But this isn't all. She says, again sincerely, that she's in a process of "recovery" -- from the struggle for tenure at college. She says that black women "age prematurely" due to this kind of stress (ha ha ha), and that "the very choices and accomplishments that I worked so hard to achieve might be the very things preventing me from having the kinds of personal and lifestyle choices that I wanted." She doesn't blame feminism for her decision. She ignores that there are lots of ideas to choose from, and that living rightly means picking the best ideas. She has no idea, as a well-paid professor with tenure, teaching children about life, that a choice for something means you abandon something else. She says neoliberal thinking is a lie because it can "make you feel like you're in charge of your own destiny." Then she picked her own destiny and was disappointed in the results. She says that white supremacy and patriarchy and capitalism shattered the "invictus-fueled fantasy most of us are taught to believe. We are not masters of our own fate*." What fate is she complaining about? Her childless professorship. Who picked this fate? She did. In fairness to the old maid, she's lived with the assumption many American women do, and that's that they have a moral obligation to raise children when "ready. "** This readiness of course takes a lifetime; and by the time you feel like you've got things under control you lose control of your uterus. What we've forgotten is that two-hundred years ago, in terms of survivability, every woman was a black woman. Nay, they were worse. By our standards they were dirt poor, the chances of the mother dying were fair, and the chances of a child dying were sky high. And yet they still had us. The difference between now and then was classical liberalism -- the idea that people were in charge of themselves and that if they were left free they would figure things out on their own. And they did. They built hospitals and colleges and big labs and new tools; and the accumulated treasure and know-how resulting therefrom has given us the new world -- where children are more likely to bury their parents instead of parents burying their children; where the black infant mortality rate used to be 340 per thousand and now, according to the New York Times, it's 11; where an ugly racial disparity, in infant mortality, is still a stupendous leap forward***; where a black woman, who centuries ago here was just chattel, could be her own property; and where she could dispense of her youth, if she chose, pursuing things that in the long run either don't matter, or are downright ridiculous. But she has the choice, and Brittney Cooper exercised it. The question is why she blames neoliberalism. The alternative to this God-given theory, that man's choices are responsible for his destiny, is that they aren't. Once accepted, this leads to the idea that somebody else must be -- that someone out there can make our lives better, not by making us better people, but by giving us what we want. And as this lord giveth, this lord also taketh away -- from white people, or men in general, or the successful. Thus the enemy is "white supremacy," and "patriarchy," and "capitalism." The unhappy leftist always has a bogeyman, and the bogeyman is always someone who's got his life together****. In a free society, the last refuge of the moron is tyranny. So what does this all make Brittney Cooper? Less brave, considering improvements across the board in medicine, than her own grandma. A successful failure. A woman who abandoned her womanhood and is suffering the consequences. An irresponsible non-thinker who got what she wanted, found out it wasn't worth it, and is laying the blame on white people. Ladies and gentlemen, I give you the Associate Professor of Women’s and Gender and Africana Studies at Rutgers University -- teacher of your children. Tenured. *The old Pelagian heretic believed that man could choose anything he wanted at any time. It was for this reason he decided he had free will. Today's heretic believes that man ought to be the master of his own fate, regardless of the world he's born into. He believes he can't be free unless he can do everything everybody else can do. Both of these theories are insane. The essential link between them is that the real world either doesn't or shouldn't matter -- that man's mind isn't a tool for living in the world, but something which has a right to exist independently of it. The truth is all of us, in some way or another, are free -- and each of us just as equally are slaves. We are free to choose, but not free to pick the choices. The leftist sees this as injustice. But God has mandated inequality, and the wise man sees it as the original qualification of our existence. **What modern women miss is that kids don't require an equal standard of living to anybody else. They have no idea what you had when you were a kid; and beyond this they have no idea what anyone had when they were a kid. The chief advantage of being a child is that you accept the world you're born into. So long as a parent can bring them into a decent neighborhood, I figure that's good enough. ***We admit, in fairness to Ms. Cooper, the disparity in survival rates. Some of this is black people's fault and some of it is white people's. Black babies die at higher rates than white babies, and black mothers die at higher rates than white mothers. I said above that only 11 of their babies die out of a thousand. But you can only speak like this when the baby isn't your baby. That any mother loses her baby is a tragedy. That any mother loses her baby because she's black seems, at first glance, to be an injustice. According to the NYT white mothers currently lose 5 per thousand -- about half. Some of these reasons are more unjust than others. NPR says it's partially obesity related. Others say it has to do with poverty, and lack of choice. Others, noting that college-educated black women die, in pregnancy, around the rate of teenage whites, say that systematic racism is to blame. Some say it's the stress from being black in a white society. The NYT, using the story of one pregnant black woman getting beaten and raped by her black boyfriend, implies the stress is due to living in a black society. Each and every paper I've read has noted the disparity between whites and blacks. What Brittney Cooper didn't do is consider the disparity between now and a hundred years ago -- and that a hundred years ago, despite racial problems far worse than anything we see today, black women were still having lots of healthy children. We have a racial disparity; but who of any intelligence wants to close it -- by ruining humanity's best chance at improvement? Inequality gave us the disparity -- and it has given us the epidural. I can't speak for women, but in childbirth I would rather be unequal than unmedicated. ****White capitalist men are the bogeyman now; but the truth is that if we keep on the track we've been going they can't be for long -- unless we become oppressed like the Jew. At that point blacks, unable to deliver everything they've promised, will turn on each other -- like they did in Detroit and Zimbabwe. Not long ago, at the ripe old age of 57, I became enamored of young, beautiful children's piano teacher, who was probably mid-30s. Fortunately, she perceived what I was about and gave me a real cold shoulder. Thank you. However, I perceived that she had dedicated her life to her music and teaching, and was without a husband or her own home. She was successful with those, and living at home. Now, I'm sure she could have had better than me, but I don't know what she was waiting for. That next summer I went to Spain and walked the Camino, and met several other similarly situated females: mid-30s with successful career, and no husband or children. Part of my misspent youth includes teaching high school, and two years in the last decade were at two different Catholic high schools. Those schools are helping the young women hurl themselves down the college and career path, before husbanding and homemaking. Somehow, I think they are misdirected.
" A woman needs a man like a fish needs a bicycle." Apparently, fish need bicycles too late to learn to ride.